We’ve visited East Coast Park some years ago, but it was in my ‘to visit’ list of Singapore for a long time. It was a long weekend with May 1st holiday and we decided to visit the East Coast Park. This visit is bit special because, this is the Sanu’s first visit to a beach. He is so active now and therefore we thought it would be good for him to enjoy his time freely in a spacious beach like the East Coast Park beach. 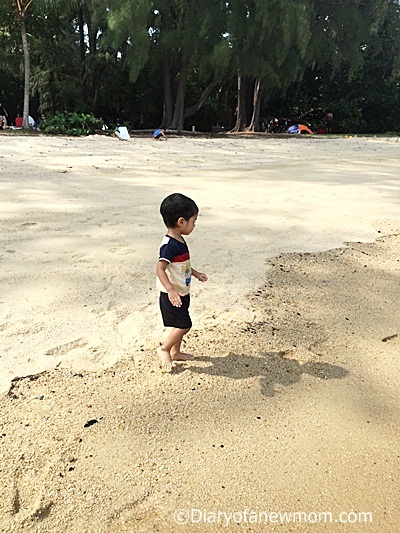 East Coast Park is a beautiful park in Singapore with lot of family friendly activities including Cycling,swimming,BBQ,camping and sand playing.Kids friendly activities are not limited to these few mentioned items.It is so spacious,so kids can play happily. Although it was his first visit to a beach,he didn’t afraid of sea waves.Instead he enjoyed playing with sea waves. Running along the beach was so much fun and it was a good excersice for us too. 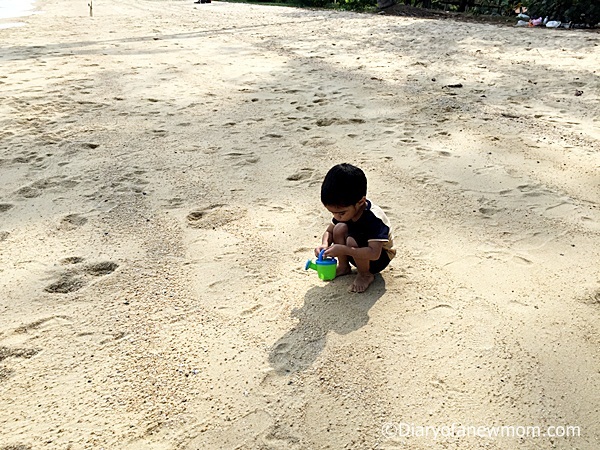 He loved collecting sea shells and sand playing was another activity he enjoyed in this beach. 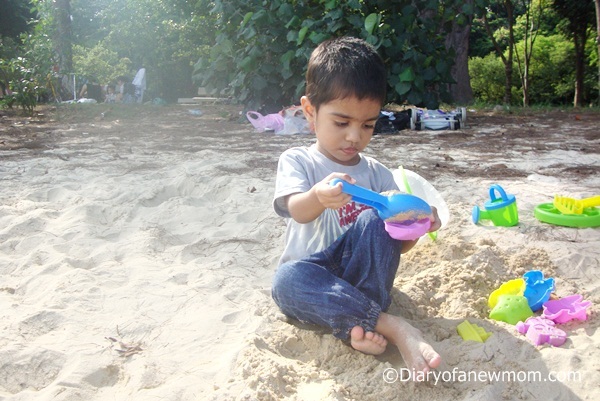 He loved to play with sand and he got plenty of time to enjoy his activities. Sand playing till get bored! Overall it was a happy day and we are happy because we could spend a full day with him on a kids friendly day out. Although I have more photos to share from the East Coast Park,I will keep them for future posts.Till that please share your photo posts from this week. Have you been to a beach recently?